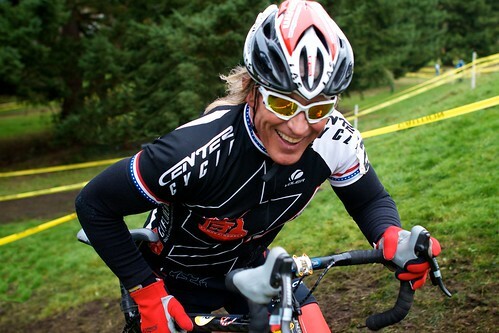 That’s Steve “Cosmic” Miller, a surfer-like dude, Cross racer who has more fun out there than anyone. I’ve nicknamed him "Mikey," cause dude LIKES everything – that’s a cultural reference to an old-timey Life cereal commercial. Racers just ahead, behind, and in between him are turning themselves inside out in a huge effort to place and he’s rolling through with a big smile. Instead of riding a surf board though, this bro is on a race bike. His enthusiasm and the fun he has with it, is a good perspective. For me, racing Elites has been very hard, stressful, intense and it’s good to remember to have fun with the sport; especially, as the Season is coming to an end. Cosmic is the opposite of a Suffer Face. In the Yin and Yang of racing he’s the light of a happy face. As it was told to me, Cosmic has been racing something his entire life, including motos with Bob “Hurricane” Hannah, the original Supercross superstar. He also used to freestyle jet skis with fireworks and is in the IJSBA Hall Of Fame.